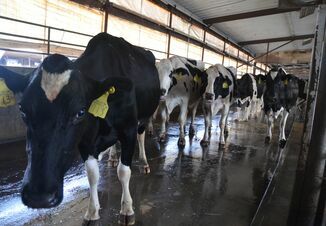 In a paper by economists Andy Novakovic and Mark Stephenson on the revised Dairy Margin Protection Program (MPP), it appears the reduced premiums, monthly calculations and weak milk futures prices in 2018 will combine to offer some risk management for smaller producers. “The changes to the program for Tier 1 are sufficiently improved to more than justify giving the program a hard look,” say the economists. Novakovic is with Cornell University; Stephenson, the University of Wisconsin. In its revision, Congress increased the amount of coverage offered to so-called Tier I producers, from 4 million pounds per year to 5 million. Congress also markedly reduced Tier I premium costs at each protection level. The margin calculations will now also be made monthly, rather than bimonthly and averaged. That means it’s much more likely margin payments will be triggered in times of low, volatile milk prices. A decision tool to help producers through the labyrinth of MPP choices can be found here: https://dairymarkets.org/MPP/Tool/. Novakovic and Stephenson estimate the expected margins in 2018 based on futures prices on Feb. 14. Margins will be below $8 February through July, with margins falling below $7 March through April and the lowest anticipated margin coming in April at $6.86. If Tier I farmers were to take out $7 coverage in those three months, they would recoup their premiums and make a few cents. If they paid the 8.7¢ per cwt premium for $7.50 coverage, they would net about 50¢ on every cwt of milk they protect in February, March and April. 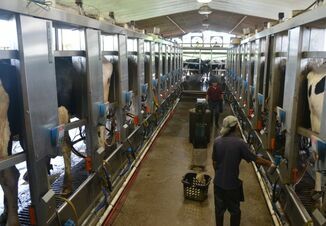 Though Congress increased the amount of milk that can be protected to qualify for Tier I premiums, it did not change Tier 2 premiums for producers who wish to protect more milk. As a result, higher premiums would likely yield no net benefits even though margins could be below $8 over six months this year. Find the full paper at: https://dairymarkets.org/PubPod/Pubs/BP18-01.pdf.